Dr. Stewart is a member of the Yellowknife Dene First Nation and holds the current Canada Research Chair in Aboriginal Homelessness and Life Transitions. 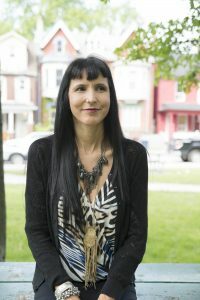 For almost ten years, she has been a registered psychologist and Associate Professor of Indigenous Healing in Clinical and Counselling Psychology at the Ontario Institute for Studies in Education (OISE). For five years she has been special advisor to the OISE Dean on Aboriginal education, and more recently, Interim Director of the Indigenous Education Initiative. Dr. Stewart’s research and teaching interests lie in Indigenous mental health and healing in psychology, including issues related to homelessness, youth mental health, identity and work-life development. She is one of the world’s leading scholars in Indigenous knowledge and mental health and is committed to advancing Indigenous healing issues through research and policy change. She is also Chair of the Aboriginal Section of the Canadian Psychology Association, has served as a guest editor for the International Journal of Health, Promotion and Education and has chaired the annual Indigenizing Psychology Symposium at U of T for six years. Dr. Angela Mashford-Pringle is an urban Algonquin woman from Timiskaming First Nation in northern Quebec whose research is at the intersection of Indigenous health and education. She completed her PhD at the Dalla Lana School of Public Health, University of Toronto. Angela was a post-doctoral fellow in the ACHIEVE program at St. Michael’s Hospital working with the Well Living House, worked for many years at Health Canada and the Public Health Agency of Canada managing a variety of Aboriginal social programs like Aboriginal Head Start Urban and Northern Communities and the Community Action Program for Children. In 2010/11, Angela worked as the inaugural Aboriginal Programs Manager at Centennial College where she developed Aboriginal Business Diploma and the frameworks for programs in early learning, health management, music, film, and an Aboriginal Studies Diploma. Angela has been a lecturer at Indigenous Studies, University of Toronto, and is a part-time faculty member at Sheridan College in the Faculty of Applied Health and Community Development. John Wabegijik is Ojibway and a proud member of Sheshegwaning First Nation located on Manitoulin Island. John has lived and worked in Toronto for several years. John’s past work experience includes working in administration for Na-Me-Res (Native Men’s Residence). John recently obtained his BA Degree in Public Administration and Governance through Ryerson University in partnership with FNTI (First Nations Technical Institute). John is very excited to be part of Waakebiness-Bryce Institute for Indigenous Health team and looking forward to assisting in the many positive projects. As a descendent of Chibchas, Caribes, and Choques Indigenous tribes, Juan was born in the town of Soata (place of the sun’s tilage in the Chibcha language). He holds a Master from University of Guelph, and an ABD in experimental psychology from Complutense University, Spain. Juan conducted research and research methodology studies with Indigenous communities in Canada and Latin America. He is a rural registered teacher, internationally trained psychologist, and university lecturer. In Canada, he has collaborated with Native Child and Family Services of Toronto, The Ministry of Health and Long Term Care, the Ministry of Children and Youth Services, the University of Toronto, and McMaster University. 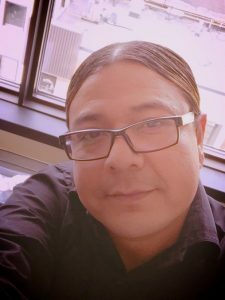 Currently he is researching Indigenous ethics of health research as a PhD candidate at Ontario Institute for Studies in Education at University of Toronto. Margo Greenwood, PhD, Academic Leader of the National Collaborating Centre for Aboriginal Health, is an Indigenous scholar of Cree ancestry with years of experience focused on the health and well-being of Indigenous children, families and communities. She is also Vice-President of Aboriginal Health for the Northern Health Authority in British Columbia and Professor in both the First Nations Studies and Education programs at the University of Northern British Columbia. While her academic work crosses disciplines and sectors, she is particularly recognized regionally, provincially, nationally and internationally for her work in early childhood care and education of Indigenous children and for public health. Margo has served on numerous national and provincial federations, committees and assemblies, and has undertaken work with UNICEF, the United Nations, the Canadian Council on Social Determinants of Health, Public Health Network of Canada, and the Canadian Institute of Health Research, specifically, the Institute for Aboriginal Peoples Health. In 2010, she was named ‘Academic of the Year’ by the Confederation of University Faculty Associations of British Columbia, and in the following year, she was honoured with the National Aboriginal Achievement Award for Education. Carrie Bourassa, PhD, is a Professor of Indigenous Health Studies in the Department of Indigenous Education, Health and Social Work at First Nations University of Canada. She is proud to be the successful Nominated Principal Investigator on a Canada Foundation for Innovation Grant that funded the Indigenous Community-based Health Research Labs at FNUniv. She is a member of the College of New Scholars, Artists and Scientists of the Royal Society of Canada. She is also a public member of the Royal College of Physicians and Surgeons of Canada. Carrie was also a recipient of the Campion College Alumni of Distinction Award for Professional Achievement and was inducted into the Alpha Sigma Nu Honour Society of Jesuit Institutions of Higher Education in November 2010. In 2012 Carrie won the Wiichihiwayshinawn Foundation Inc. Metis Award in Health and Science. 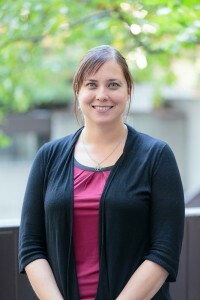 Carrie’s research interests include the impacts of colonization on the health of Indigenous people; creating culturally safe care in health service delivery; Indigenous community-based health research methodologies; end of life care with Indigenous people; dementia among Indigenous people; HIV and AIDS among Indigenous women, Indigenous ethics and Indigenous women’s health. Carrie is Métis, belonging to the Regina Riel Métis Council #34. Ontario, Toronto Elder and Ex-officio and Honorary member. Professor, Simon Fraser University, Vancouver, British Columbia; Ex-officio and Honorary member. Michael Dan is a former neurosurgeon and one of Ontario’s most generous philanthropists, supporting hospitals, local charities, First Nations health, and human rights initiatives. In 2002 he created The Paloma Foundation, which in turn, has donated over $8M to charities in the Greater Toronto Area (with a special emphasis on health, education, and homelessness). Through his support of The University of Haifa, and the Michael and Amira Dan Professorship in Global Health at The University of Toronto, he has helped to build Jewish-Palestinian dialog and tolerance in Canada and around the world. In 2014 he donated $10M to The University of Toronto to create the Waakebiness-Bryce Institute for Indigenous Health, the first privately-endowed institute of its kind in the world. Michael is also a strong supporter of the Canadian Museum for Human Rights, The Scarborough Hospital, the Faculty of Pharmacy, and the Division of Neurosurgery at The University of Toronto. He is a recipient of the Queen Elizabeth II Diamond Jubilee Medal, a member of the Order of Ontario, and an Officer of the Order of St. John. 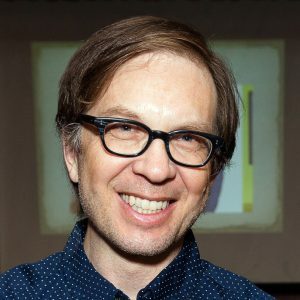 Thomas Dignan, MD, OOnt, of Thunder Bay, Ontario, is a Seneca from Six Nations Territory of the Grand River who has dedicated his life to eradicate disparities in health outcomes and inequities in the quality of health care facing Indigenous Peoples. 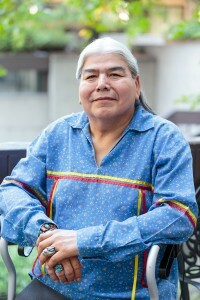 He is the first Indigenous student to graduate from McMaster University medical school, the first recipient of the National Aboriginal Achievement Award in mentorship, and the first Indigenous physician in the history of the Royal College to be bestowed the Fellow of the Royal College of Physicians and Surgeons of Canada. 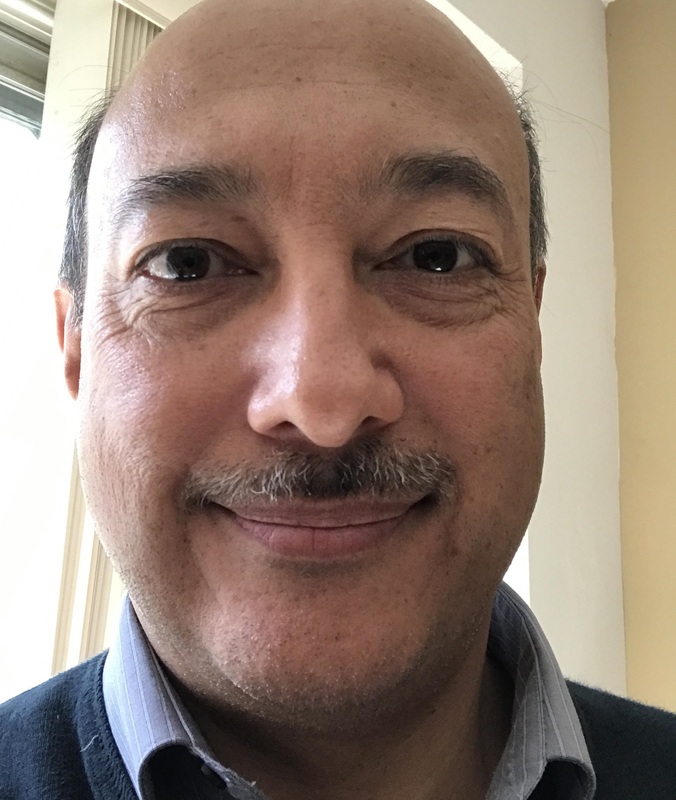 Dr. Dignan is a health care advocate for communities under threat including addressing racism in medical education and practice, and providing leadership and counsel in Indigenous health to physicians, governments and organizations. As a medical officer in Health Canada’s First Nations and Inuit Health Branch, he regularly travels to remote communities where access to medical care is not taken for granted. He is a Royal College Council member, co-founder of the Native Physicians Association of Canada and the first president of the Native Nurses Association of Canada. As the chair of the Royal College’s Indigenous Health Advisory Committee he has led the committee to make advances in Indigenous health education (cultural competence in CanMEDS, the Royal College Indigenous Health Values and Principles Statement and presenting cultural safety workshops at national conferences). As a co-lead of the Aboriginal Health Alliance he is making contributions to the Calls to Action in Health from the Truth and Reconciliation Commission of Canada. John Dixon, BA, is currently the Director of Mental Health and Addiction Services at Dilico Anishinabek Family Care. Dilico Anishinabek Family Care is an integrated multi-service agency that provides child welfare, health and mental health and addiction services to First Nation members residing in the City of Thunder Bay and within the Robinson Superior Treaty Area. John is a member of the Mississaugas of the New Credit First Nation who has been working in various frontline and management roles in the addictions field since 1997. John earned a BA in Indigenous Learning and Psychology at Lakehead University and has had extensive experience working with First Nations in urban, rural and remote settings. John is a certified life skills coach, ADR facilitator and has a diploma in Leadership and Management from the Schulich School of Business. 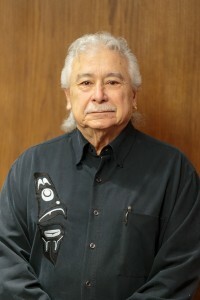 John was a recipient of the National Aboriginal Day 2012 Honoring our Men Award. He completed a two year term as the National Native Alcohol and Drug Abuse Program representative on the Ontario Regional Addictions Partnership Committee. 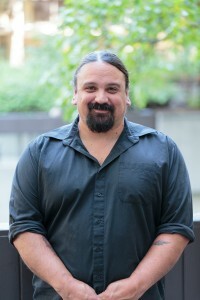 He was recognized for his work as the change management lead for the agency’s National Anti-Drug Strategy modernization project that reprofiled the Dilico Anishinabek Family Care Treatment Center into a recognized lead in the area of culturally safe opiate addiction and concurrent disorder programming for First Nations populations. John is currently collaborating on research partnership projects with CAMH, Lakehead University and the Thunder Bay Regional Health Sciences Centre. John lives in Kaministiquia, Ontario with his wife and three children. 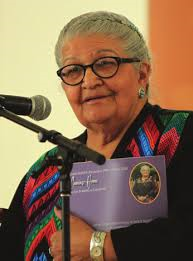 Jan Kahehti:io Longboat, Turtle clan of the Mohawk Nations is an elder, educator, writer, herbalist, cultural advocate, and the visionary having dedicated her life to the dissemination and learning of the Indigenous language and culture. She shares knowledge of Earth teachings, storytelling, fasting, dreams, visions, medicine teachings, women’s roles and relationships, Haudenosaunee wampum belts, leadership, environmental changes, and he impact that her original language has on understanding important values for life. Kahehti:io is the keeper of the Earth Healing Herb Gardens and Retreat Centre at Six Nations. She believes our ancestors left is a great legacy of Indigenous knowledge with which we carry our spiritual, physical, mental and emotional medicine bundles.Longboat ran a ten-year program called Idawaddadi, which won the Aborigional Healing Foundation’s best practices award, and an outgrowth project entitled Dotah’s house to assist Indigenous women survivors to heal from abuse of Residential schools while strengthening their communities through cultural knowledge. She has produced numerous articles, interviews, books, DVDs, audio CDs, radio and television shows, including her own publications the book “Idawadadi: Coming Home,” DVD set “The Cycles of Mother Earth,” and a booklet “fasting: The natural healer for body, mind, spirit and emotions.” As early as 1983, Longboat founded the Iroquois Women’s Organization. Frequently called on as a counselor, committee and board member, Longboat has served on the Centre for Indian Scholars, Association of American Indian Physicians, Wellwood Cancer Centre, Chiefswood National Historic Society Board, Six nations Elders Council, Kanatsiohare:ke Mohawk Community and the Children’s Aid Society of Brant, among others. Most recently she was invited to participate in the Canadian Centre for Accreditation to assist in the writing of standards for Indigenous policies. Kahehti:io continues to serve as a board member at the St. Michael’s Hospital Well Living House in Toronto to organize an Indigenous maternal health care information centre, as well as on the elders councils at the University of Toronto, Enaahtig Healing Lodge and Learning Centre, and the native Canadian Centre of Toronto. Longboat is currently an elder/advisor to the Ministry of Justice Aboriginal Court in Brantford. 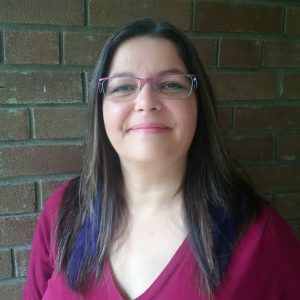 She taught at Mohawk College, McMaster University, and the University of Toronto and has worked with several Aboriginal health centres including Wabano, Desdwadadesnye and SOHAC. 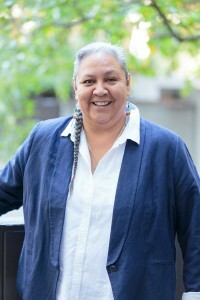 Kahehti:io is recognized in her community and internationally, having received an Honorary Doctorate of Laws from Guelph University in 2011; the Six nations Treasure Award in 2010; the “peace Award” from the Indigenous Women’s Initiative in 2008; and the Smithsonian’s national Museum of the American Indian “peacemaker Award” in 2007. Longboat received her degree as a Natural Health Practitioner from the London School and Canadian College of Natural Health and received a degree in counseling from Laurentian University. She continues to live, teach, write and garden on Six Nations of the Grand River where she was born and raised. Candice Lys, MA, PhD candidate, grew up in a large Métis (Cree & Chipweyan) family in Fort Smith, NWT and now resides in Yellowknife. She holds a Bachelor of Arts with First-Class Honors in Sociology, a Master’s in Health Promotion, and is a Doctorate of Philosophy candidate in the Dalla Lana School of Public Health, University of Toronto. Candice is the Co-Founder and Executive Director of FOXY (Fostering Open eXpression among Youth), a sexual health participatory action research project that received the 2014 $1 million Arctic Inspiration Prize. FOXY is a peer-led, arts-based sexual health program that uses drama and the arts to facilitate discussion and education regarding sexual health, healthy sexuality and positive decision-making among Northern youth. Candice is an Ashoka Canada Affiliate and a Research Associate with the Institute for Circumpolar Health Research. She is involved with territorial, national, and international organizations, including: the former Member at Large for the Canadian Society for Circumpolar Health, a member of the National Aboriginal Council on HIV/AIDS, a Governing Council Member and Co-Investigator for the Aboriginal HIV & AIDS Community-Based Research Collaborative Centre, Chair of the Board of Directors for the Dechinta Land-Based University, and former Committee Member of the CIHR HIV/AIDS Community-Based Research Steering Committee. 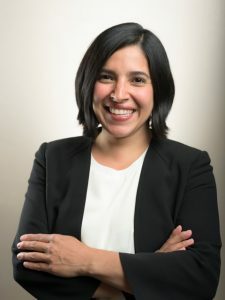 She is a recipient of the National Aboriginal Role Model Award from the now-defunct National Aboriginal Health Organization, a CIHR Vanier Canada Graduate Scholar, and a SSHRC Killam Scholar. In her spare time, Candice enjoys gardening, Cross Fit, and being out on the land at her family’s cabin. 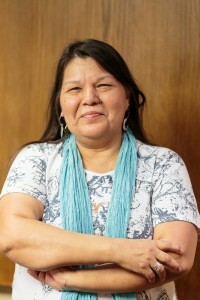 Doris Peltier, a publicly disclosed 58 year old HIV Positive Aboriginal Woman and is currently transitioning into a new role within the Canadian Aboriginal AIDS Network, as the National Coordinator for Visioning Health II, a newly funded research study, designed as an intervention for Positive Aboriginal Women in Canada. She serves on a number of committees and working groups, some of which include CIHR-CTN CAC (Community Advisory Committee); co-chair with the Aboriginal Women’s Research Initiative (AWRI) with Women’s College Hospital; and Co-lead for CHIWOS PAW in Québec; board member with the Canadian Positive Peoples Network; co-chair with CTN’s Health for People Who Use Drugs (HfPWUD) Working Group. Doris also co-authored an academic article/chapter entitled When Women Pick Up Their Bundles: HIV Prevention and Related Service Needs of Aboriginal Women in Canada, which is included in the Scholar Press publication – Women and HIV Prevention in Canada. Doris is fluent in her Odawa language and has a considerable wealth of Indigenous knowledge and has a passion for the work she gets involved with and is an amazing and strong Aboriginal woman with a strong voice. Raven Sinclair, PhD, is Nehiyaw (Cree) from Gordon’s First Nation of the Treaty #4 area of southern Saskatchewan, Canada. She is an Associate Professor of Social Work with the University of Regina, Saskatoon Campus. 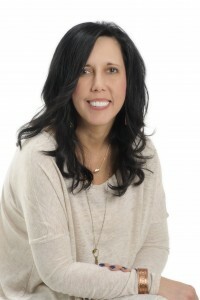 Her areas of interest include Indigenous mental health and trauma recovery, Indigenous research ethics, Indigenous child welfare and youth suicide, transracial adoption and cultural identity, interpersonal and non-violent communication, lateral violence intervention, group process and facilitation, and critical race theory. Raven has a ten year-old daughter, Mercedes, who keeps her on her toes. Mariette Sutherland, MPH, is an Anishnaabe-kwe from Whitefish River First Nation in Northern Ontario. For the past 11 years, she has led or collaborated on over 75 health services planning, research and evaluation projects for numerous First Nation health organizations and government agencies and departments as an independent consultant. A committed community member, Mariette has served on several regional and provincial boards and committees in fields such as community care, northern economic and business development, cultural revitalization,hospital public affairs, university governance and communications. As the former Executive Director of the Noojmowin Teg Health Centre, an Aboriginal Health Access Centre, based on Manitoulin Island, she led the organization during a pivotal period of growth and development. A notable accomplishment during this time was the development of community driven guidelines for ethical Aboriginal health research. Mariette’s educational background includes a BEng (Chemical Engineering, 1990) and a MPH from the University of Waterloo. She makes her home on the Ojibwe territory of Whitefish River First Nation with her husband Greg, son Miles (16), and daughters Avery (11) and Violet (4). By way of introduction, my name is Cliff Thomas and I am a First Nation Status Ojibwa/Cree. I came into this world sixty-two winters ago on the Peguis First Nation, Manitoba. I am one of the many Aboriginal children that was infected with the poliovirus and taken off my home reserve for treatment and never returned to their families. I was raised in Winnipeg through a series of orphanages, group homes and foster care placements. Before leaving Winnipeg in 1980, I was one of the original members of the First Peoples program for the Winnipeg Folk Festival. I have made Ottawa, Ontario, my home since 1983. In 1992 at the Youth and Elders Conference at the University of Ottawa, sponsored by the Odawa Native Friendship Center, I was honored with an Eagle feather (the highest Honour an Aboriginal individual is given). I was told that when the people gather I should be willing to share the knowledge I have received from the various Elders I have met along the Red Road. It was later that same year that I received my spirit name Standsalone Bear and inducted into the Bear Clan on Manitoulin Island. I have spent the last forty winters crisscrossing Turtle Island (North America), participating in Medicine circles with Elders, Healers and Seers from a variety of First Nations. My experiences have afforded me the capacity to weave through both worlds with ease. I have worked with a variety of First Nations traditional and contemporary organizations as well as the Federal Government. I have been asked to participate as an Elder/Advisor for the Canadian Aboriginal AIDS Network for the past ten years on a variety of community-based research projects, for the Public Health Agency of Canada, the Canada Youth Hep-C Conference, and the Canadian Institute for Health Research. I am currently the Chair of the First Nations sub-committee of National Post-Polio Canada. I have been requested to present an Eagle feather to an Officer within the Department of National Defense. I have also been a co-facilitator with Dr. Neil McDonald at various government conferences and cross-cultural workshops.